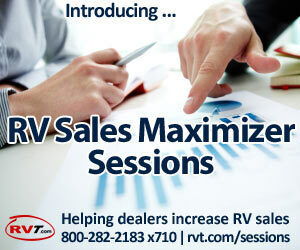 As people spend more of their time on the internet, particularly on Facebook and other social media sites, RV dealers and other advertisers are moving their marketing dollars into online advertising products. This year in the U.S., spending on online advertising — search marketing , display and banner advertising, mobile marketing, email marketing, video ads and social media marketing — is predicted by internet marketing analyst eMarketer to grow 20% and pass the $30 billion mark. That’s a jump of 5% over last year’s 14.9% increase ($26 billion) and double the 10.5% 2011 growth eMarketer predicted in December 2010. By 2015, eMarketer expects total online advertising expenditures to increase by an additional 35%, although some analysts believe online ad expenditures could more than double, reaching $77 billion. (Click the link to read the eMarketer report). Just a small blip on the advertising world’s radar screen five years ago, today online advertising accounts for nearly 20% of all major media ad dollars spent in the U.S., a fraction of the 38% spent on television ads. Over the next five years, however, the TV ad market is expected to remain static while the online ad market grows steadily. By 2015, online advertising is expected to claim a 28% share of the U.S. advertising market, pulling nearly neck-to-neck with the ad world’s big dog and gradually surpassing it in subsequent years. While the effectiveness of keyword-driven search advertising plays a major role in the phenomenal growth of online advertising, the market’s fastest growth is being driven by banner ads and targeted online display ads with video, social media and mobile advertising just beginning to make an impact. 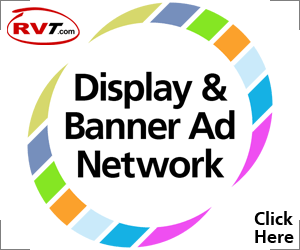 Search advertising may be king today, but display advertising (banner ads and targeted online display ads) is coming up fast and is expected to surpass search advertising in advertising spending dollars before 2015. This year, online advertisers spent $14 billion on search advertising and $12 billion on display ads. Search advertising grew by nearly 20%, but online display advertising grew by an astounding 24.5%. In 2010, 24% of online advertising dollars ($6 billion) were spent on banner ads and that amount is expected to double to about 12% by 2015. Search advertising targets consumers who are actively searching for your product. Online display ads and banner ads have a broader reach, impacting consumer decisions at the cusp of the purchasing funnel. Display ads make consumers aware of your brand before they realize they want something, thus increasing the likelihood that they will seek you out when they decide to make a purchase. Targeted online display ads, on the other hand, impact consumers who are farther down the purchasing funnel. 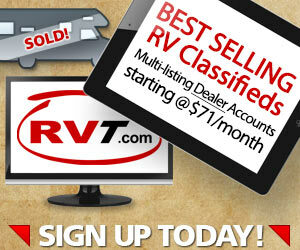 Targeted display ads impact consumers who have already entered the funnel using keyword searches, directing them to your RV dealership when they are actually ready to make a purchase. In a controlled study testing the effectiveness of search ads vs. display ads to drive sales, comScore discovered that a combination of search and display ads produced the best immediate results. Interestingly, online display ads and banner ads were more effective in increasing sales over the long-term because heightened consumer awareness of the brand prompted not only current sales but future sales.